Mark April 18th, 2013 on your calendars and ‘get ye down to ye ol’ Bull Run‘ in Shirley Massachusetts for a special show featuring Nashville Songwriter and Grammy winner Jon Vezner – and a guest appearance by Nancy. “Jon’s a really sensitive writer and a witty guy. I love his songs, the sad ones and the humorous ones. He’s got a pretty dry funny bone!” says Nancy. Back in 2008, the pair penned a poignant ballad called “It Finally Took Losing You” at Vezner’s studio in Nashville, but this is the first time they will share a stage. The Bull Run is a 300-year old tavern that oozes charm and casual elegance. It was originally a stagecoach stop where tired and thirsty travellers could stop, rest, and relax with their boots off if they wished to. The Tavern now plays host to a prestigious concert series which attracts national touring acts. The night before the concert, Nancy’s label “Moonlit Pond Records” will host a songwriting workshop with Jon at the helm. The local songwriting community are invited to come and present one of their songs to Jon for feedback. The workshop is Wednesday, April 17th from 7:30 to 10:30 in Lunenburg, MA. The cost is $20 per person, or $15 if you buy a ticket to the concert on the 18th. Get your tickets for the Bull Run show now: Click Here for Tickets. I’m so thrilled to be part of this extraordinary Songwriter Retreat in Georgia at the end of February. Louisa Branscomb is a powerhouse songwriter with Grammys and a multitude of other awards to her credit. I’ll be presenting on marketing & social media, offering private consultations on songwriting and marketing to attendees, and performing at a special House Concert on Saturday night along side Louisa and Johnny & Jeanette Williams. 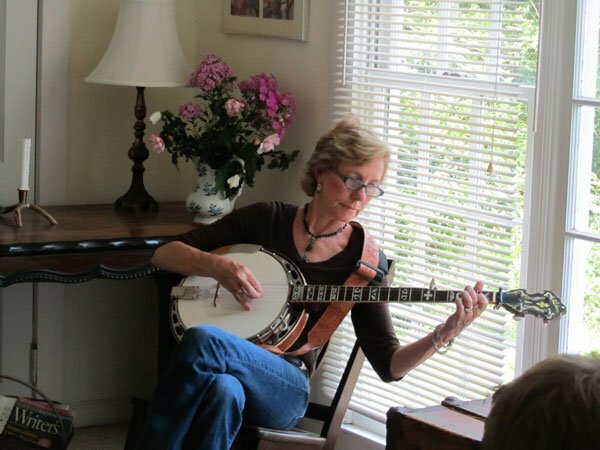 Jeanette, reigning (4 time winner) Traditional Female Vocalist of the Year (SPBGMA) is a multi-winning vocalist as well as member of IBMA Recorded Event winners Daughters of Bluegrass, and has won the prestigious Chris Austin Songwriting Contest in Bluegrass. Johnny, known as award winning guitarist, vocalist, and songwriter, is distinguished as one of the most revered early songwriters in bluegrass to contribute new, fresh songs that capture the integrity of the founding bluegrass sound. Johnny’s name is a household word in bluegrass, considered a master traditional singer, guitar player, and songwriter. Nancy Beaudette is an award winning singer-songwriter, originally from Canada, who makes her home in Boston, MA. Nancy was a Canadian finalist in 2009 and 2010 in the Mountain Stage New Song Competition, and a finalist in both The 2010 New England Song Contest and the 2010 Acoustic Roundtable Song Competition. 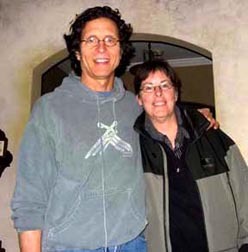 Her co-write with Louisa, “My Silvertone Guitar,” was included on her Christmas CD which garnered her a place in the top 50 folk roots music releases in December, 2012.